• In a small sauce pan, add milk, white chocolate chips and raspberry extract. • Over medium-low heat, stir until the chocolate is melted completely. 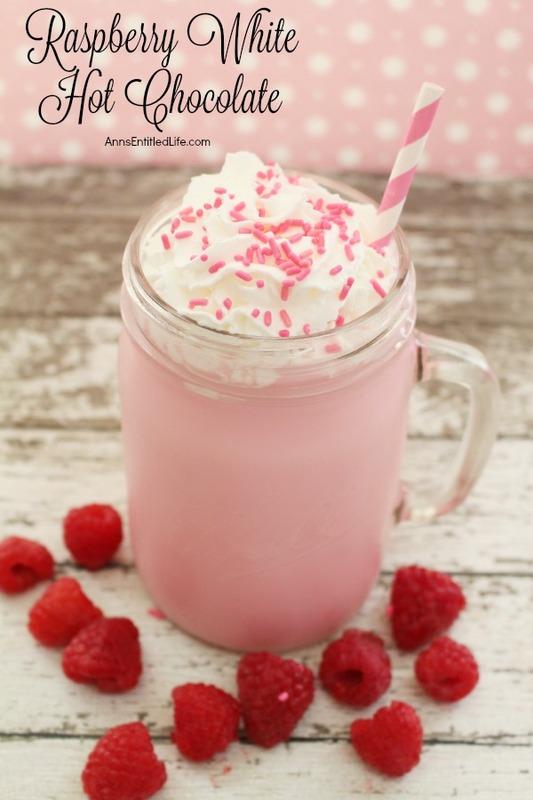 • Add 3 drops pink food coloring; stir in food coloring completely. • Pour into a mug; garnish with whipped cream and sprinkles. Note: if you prefer red, substitute red food coloring for pink, and use red sprinkles for garnish. 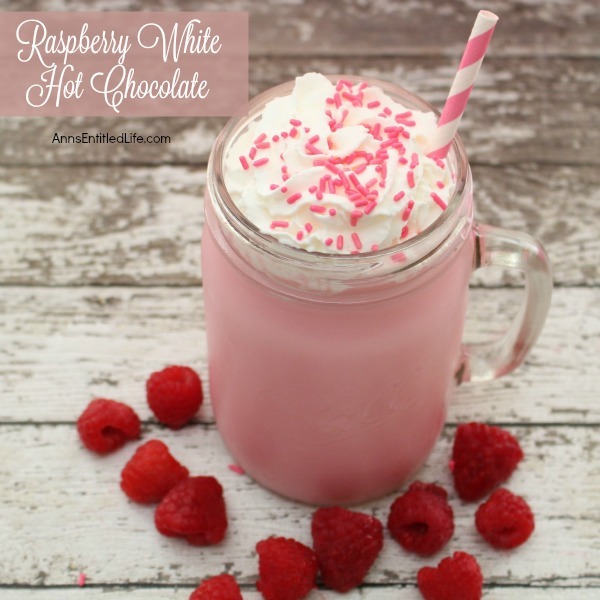 • To print the Raspberry White Hot Chocolate Recipe, click here. This sounds so goooood. I want it to magically appear in front of me right this second. Such a pretty drink. My daughter would love the pink. I think chocolate and raspberry go together great. This looks so good. I love Raspberries and can’t wait to try this. What a nice option to regular Hot Chocolate. Thank you for sharing at What’s Cookin’ Wednesday. Why don’t recipes give nutritional values? I am not a nutritionist or dietitian, Alana, and I don’t play one on the internet. 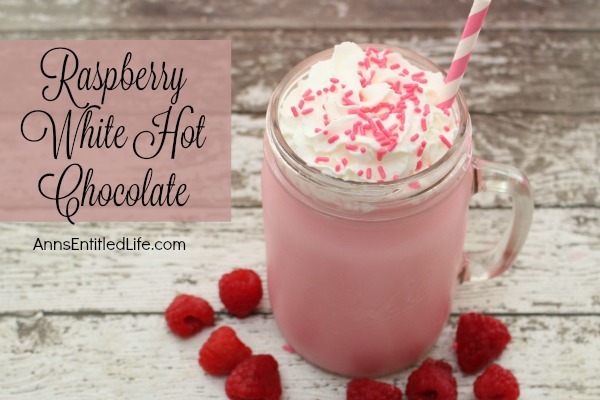 Usually, you can find calories on Yummly, but for some reason, this recipe isn’t showing that way: Yummly Raspberry White Hot Chocolate information. How many oz does this make?